First sentence: “‘You are not leaving me behind,’ Celie repeated. Content: There’s nothing objectionable, really. 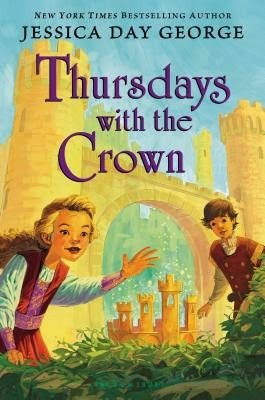 It’s a good book for both readers who love fantasy, and for struggling readers — lots of white space, and short chapters — who need action. It’s in the middle grade (grades 3-5) section of the bookstore. When we last left Celie, Rolf, and Lila, they had just disappeared from Slene (along with Lulath and Pogue). No one knew where they went or why the castle sent them away. As the book opens, Celie and her intrepid siblings and friends are stuck in a place they didn’t know existed. And they need to find the Glorious Arkower, the head magician, to go back to Slene. Except, things aren’t that simple. They discover that Rufus (Celie’s griffin) isn’t the only one; he’s got parents. Who happen to be the king and queen of the Royal Griffins. The motley crew manages to find and hatch a couple more griffin eggs (one for everyone!) and discover that the Glorious Arkower is… not so glorious. And things aren’t as simple. The question is: can Celie figure out a way to return back (and wake up!) the castle she loves?